“Kirby’s visual vocabulary carried comics to greatness and made them live. He’s the bass line for almost every comic drawn in America. 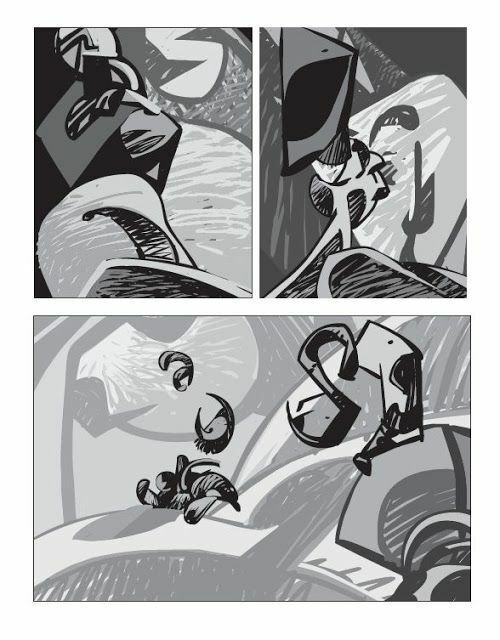 In pulling comics and Kirby’s work into abstraction, I’m looking to mix his bass with some wonkiness.” This is how Mark Badger introduces his book, Abstract Kirby 2, and it perfectly sums up this reverential and revelatory series that Badger has been creating as a tribute project to comics legend Jack “King” Kirby. When I saw these books at SF Zine Fest this year, I was floored by what Badger is doing here. Flipping through the pages, I knew I had to bring these books home with me. Badger has succeed in abstracting Kirby’s powerful and distinctive style in a way reminiscent of the way a great jazz musician takes a standard and makes it his or her own. It’s like that first track of Steamin’ with the Miles Davis Quintet -- you recognize the initial structure and sound of “Surrey with the Fringe on Top”, but it expands quickly out its original confines into new vibrations that transcends the original while still keeping you comforted by glimpses of the familiar. So much about Kirby’s art was about movement and power. There was a thickness to his figures that emphasized the force they contained. Each gesture of a Kirby character could result in explosive dynamism. 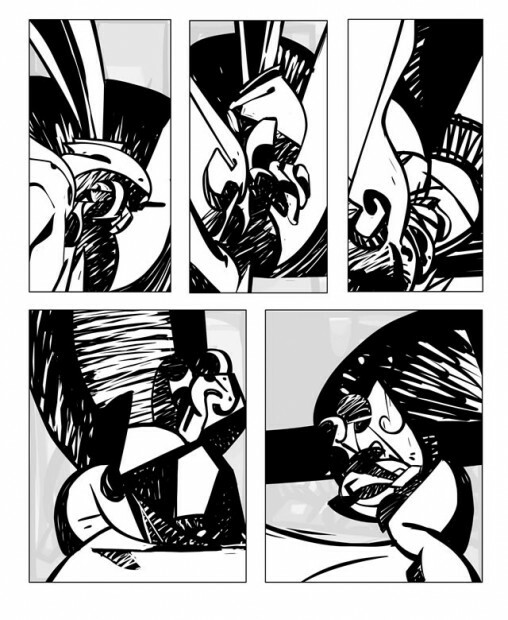 In Abstract Kirby, Badger is able to convey all of this latent and potential energy into forms and contours and simulacrums that bop off of each panel like a Kirby punch or a Kirby leap or a Kirby krackle. It’s jazz alright and it’s incredible. Abstract Kirby is neither sequential narrative nor chronology, but it tells a story about art and artists and our apperceptions of both. 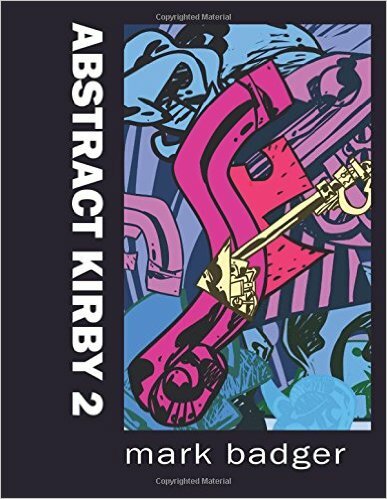 A reader appreciates Abstract Kirby for what it shows us about our relationship with the possibilities of depiction and how style speaks to the universal humanity of all audiences. As Badger said, Kirby was certainly the bass line for American comics. With Abstract Kirby, Badger adds reverb and volume to the beat. It is essence presented on a page, and these books remind you why we still call Kirby “King”. Johnny Herber’s Escargoteric is kind of hard to define exactly. It’s a surreal tale of vengeance, death, decisions, and repercussions that twists and turns and takes you places you could never have conceived of on your own. You needed Herber to open your brain to his vision, you needed his talents to allow you access to this story. It is Herber’s story told with his unique sensibility and style, but it has enough of all of our dreams and visions and desires and understandings to make it digestible, as if eating our own hands. 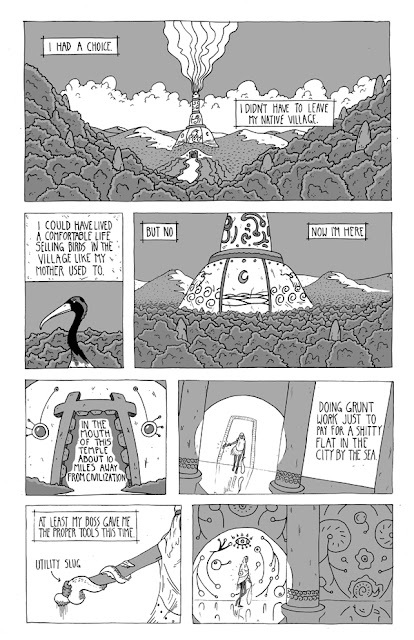 Herber’s line work is precise and his figures and backgrounds evoke the same panel playground as Brandon Graham and Tom Gauld, dense with distraction and pointed with purpose. Escargoteric builds worlds that cannot exist anywhere but in fiction, yet must exist somewhere in our dreams. It is centered in that place just outside comprehension where the epic and the absurd frantically copulate to tell the history of our understandings. It is funny, profound, confusing, frustrating, impossible, beautiful, and spectacular. Herber is singular in his amalgamation of the influences he has garnered through his years, and Escargoteric is a product unique, deserving of your attention and time. Just don’t expect to be holding on to your tired understandings of reality when you’ve finished reading it. 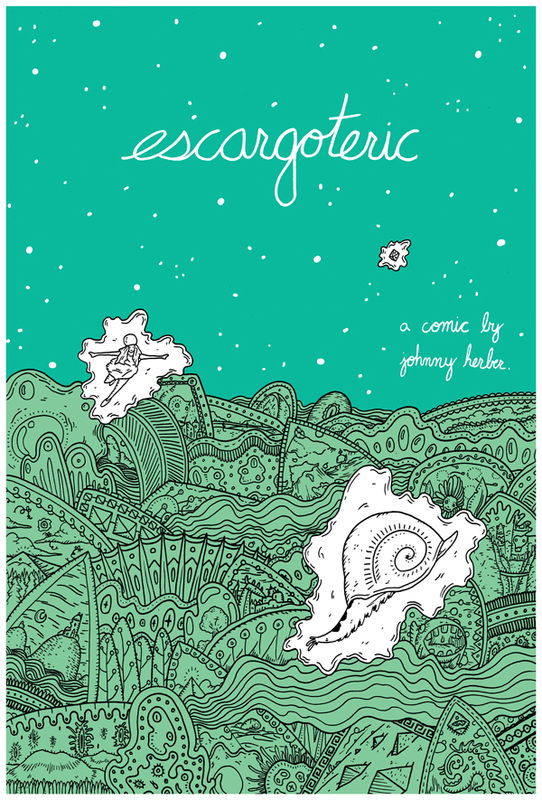 You can pick up a copy of Escargoteric here. I recently wrote a response “review” of Ricardo Cavolo’s 101 Artists to Listen to Before You Die in which I posited how its diary structure was revealing of the true self, how the music Cavolo gravitates towards expresses his character through its connection to his inner beat. This type of autobiographical comic can also be seen in Pat Tong’s I Love Sandwiches. As with Cavolo’s book, I Love Sandwiches tells the story of its author through the sandwiches she has enjoyed through the years, starting with the innocence of her childhood Banana and Mayo sandwich, to the Falafels of the World she sampled as she ventured forth into the world. 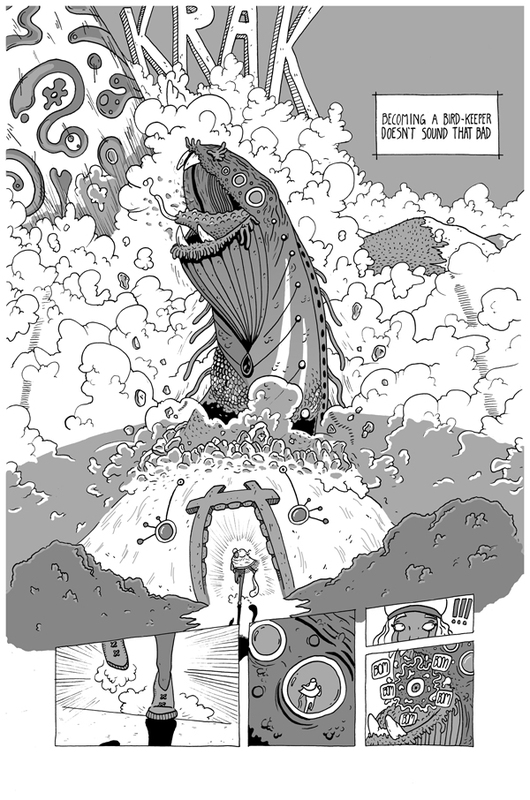 Each page features a detailed drawing of the sandwich and a quick write up of not only why Tong included this particular choice, but what it meant to her in her development as a person. The reader understands who Tong is through understanding her sandwiches. I couldn’t find a direct link to where you can grab a copy of I Love Sandwiches, but if you contact House of Tong they may be able to help you out. Contact them here.